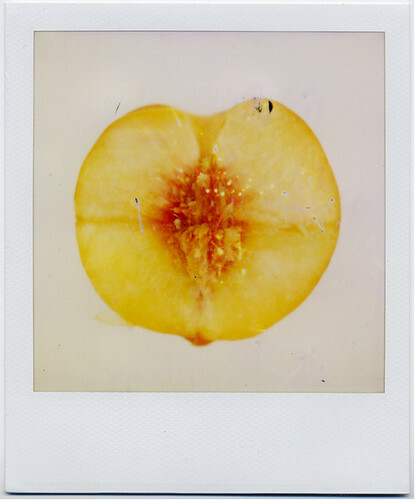 peach, originally uploaded by sx70manipulator. I have been loving the peaches this summer. I have one almost every night. Luckily, the corner market keeps a great well stocked selection of organic produce. If you haven’t grabbed a peach yet, try one! Note: We have decided not to continue to curate full photo galleries on Flickr each week. However, we are keeping all of the previously posted galleries. You can find those collections here. We just got a basket of peaches from Trader Joe's and they smell SO good, as opposed to the strawberries we got elsewhere, which smell sort of like strawberries.